3. 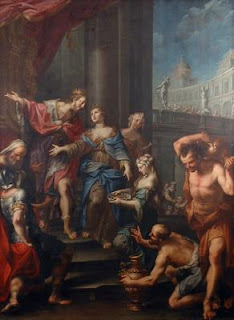 The inclusion of the Gentiles. Eschatological programs of Israel’s restoration also, perhaps surprisingly, involved the Gentiles (e.g., Amos 11:12; Isa 11:10). Yet, once we recognize that restoration hopes were based on the ideal of the unified kingdom of David and Solomon, the participation of the other nations is predictable. For, as we saw earlier in this series, the Davidic covenant was international in scope. David and Solomon not only reigned over all Israel, they also reigned over other nations. In this connection, Ps 72, “a Psalm of Solomon” according to the superscription, was understood to describe the international eschatological vision of the restored kingdom. The notion of Gentile inclusion thus may also be seen as part of the restoration of the Davidic Kingdom. David C. Mitchell, The Message of the Psalter (JSOT Supplement Series 252; Sheffield: Sheffield Press, 1997), 66-69. I'm sure this suggestion has been made before, but just as the calling of the twelve can be seen as Jesus reconstituting Israel around himself, could the calling of the seventy be seen as Jesus reconstituting the nations around himself, given the traditional division of the world into seventy nations, and the seventy angels of the nations? (A very old notion which perhaps ultimately goes back to the ancient North-West Semitic notion of the seventy sons of El, although that's by the by). The obvious objection might be that the seventy, like the twelve, were Jews and not Gentiles, but perhaps the idea of Israel ruling over the nations is at work here, or even Ps. 82, the judgement of the "gods" and their replacement? Vassal nations with Jewish proconsuls so to speak? 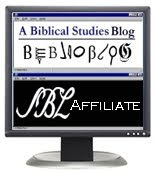 Best Biblical Studies Blogs--We Made The List!! !